The UNC Center of Excellence for Eating Disorders (CEED) opened its doors in 2003 with the goal of serving the UNC student population. CEED was founded by Dr. Cynthia Bulik and is the only comprehensive university-based treatment center in the South, according to its website. CEED offers a variety of levels of care in a hospital-based setting and is a world leader in evidence-based treatment, research and training. 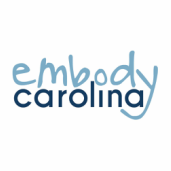 If you're familiar with Embody Carolina, you know that we also work closely with the professionals from the CEED to develop our training and serve our members. Directions: CEED is located at 101 Manning Drive on the first floor of the UNC Neurosciences Hospital, which is in between the Women's and Cancer Hospitals. Most Chapel Hill Transit bus routes will take you to UNC Hospitals, including the NS, NU, T and G routes. If you are walking to CEED from campus, go past the dumpsters that are behind Campus Health Services and walk through the big orange doors on the back of the hospital building to access the Neurosciences Hospital. Information about parking can be found here. Levels of Care: ​CEED offers care at inpatient, partial hospitalization and outpatient levels for children, adolescents and adults with eating disorders. Treatment is individualized and a comprehensive evaluation is the first step to determining what level of treatment in the clinic or elsewhere in the community is the best fit for your needs. If you are eligible to participate in one of CEED's ongoing clinical trials, you may be able to receive treatment at no cost. Click here to learn more about the different levels of treatment that CEED offers.